Well 2014 was quite a year … having fallen of the blogging bandwagon for a while due to international relocation, house renovations and the arrival of a small person, I am now back on board. 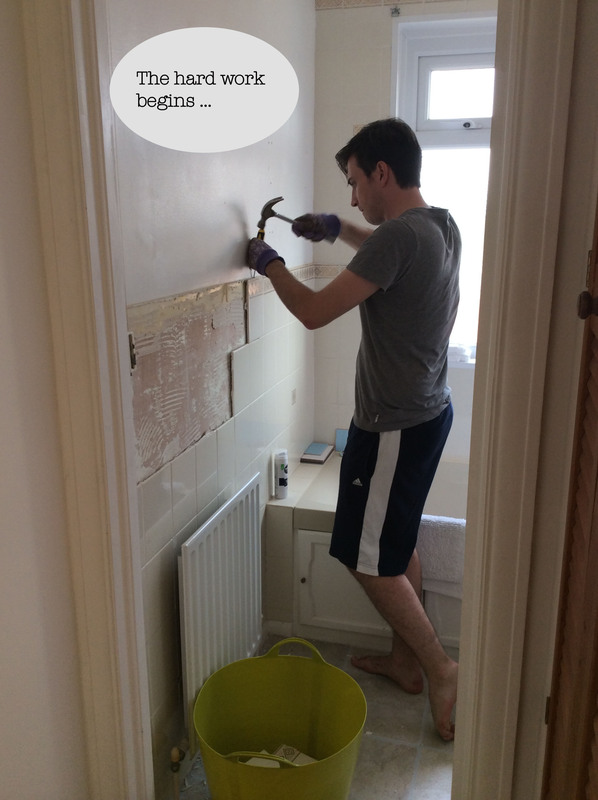 I wanted to start the year with a post to recap on the work carried out on our bathroom. Having moved back to the UK in June, after spending 15 months in Australia, there were some changes to our house we were very keen to make. 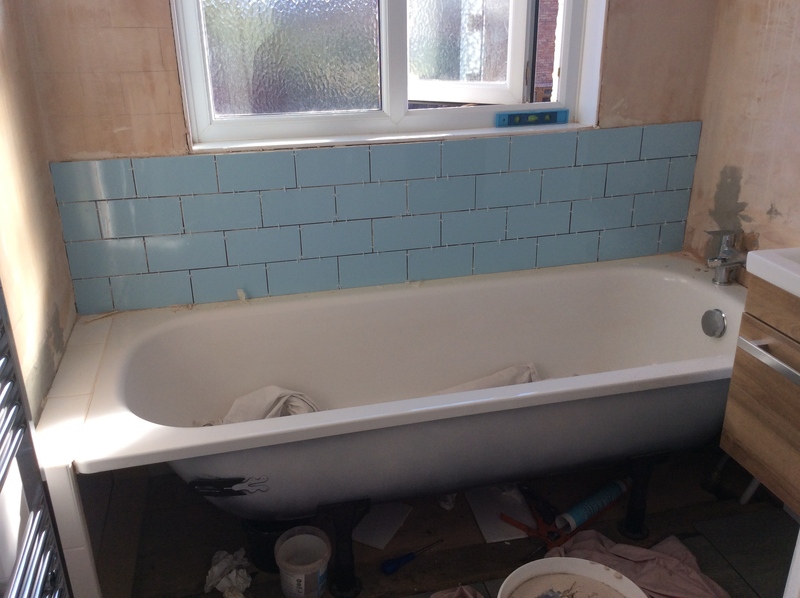 First up was an overhaul of our dated bathroom! Before the changes our bathroom was damp, dreary and difficult to clean, but now it’s fresh and bright, and one of my favourite rooms in the house. Whilst the overall look of the room is modern, there is still a nod to the Art Deco period of the house with pale blue metro tiles around the shower, a walnut effect sink unit, marble effect grey floor tiles, chrome accessories and crisp white walls. 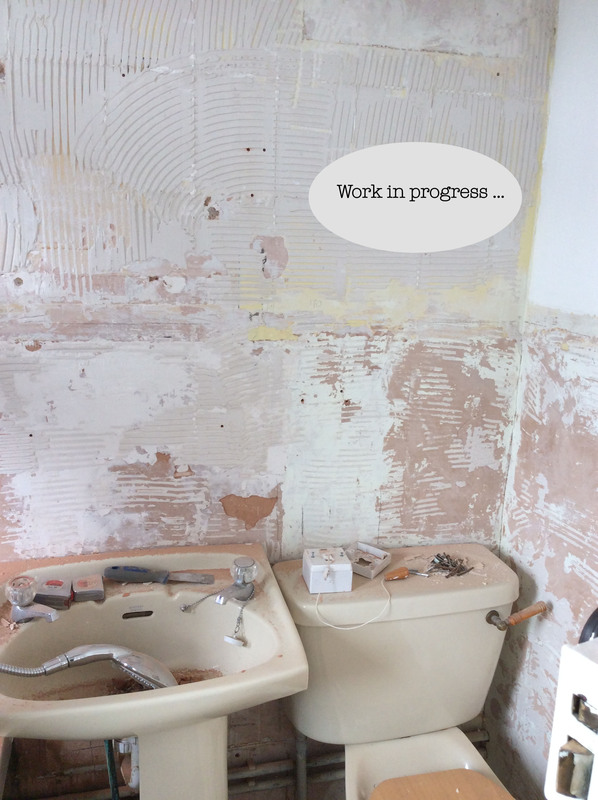 With the work carried out over several months, it made me realise how taken for granted the bathroom can be and how much of a difference an updated bathroom can make to daily living, especially while heavily pregnant! 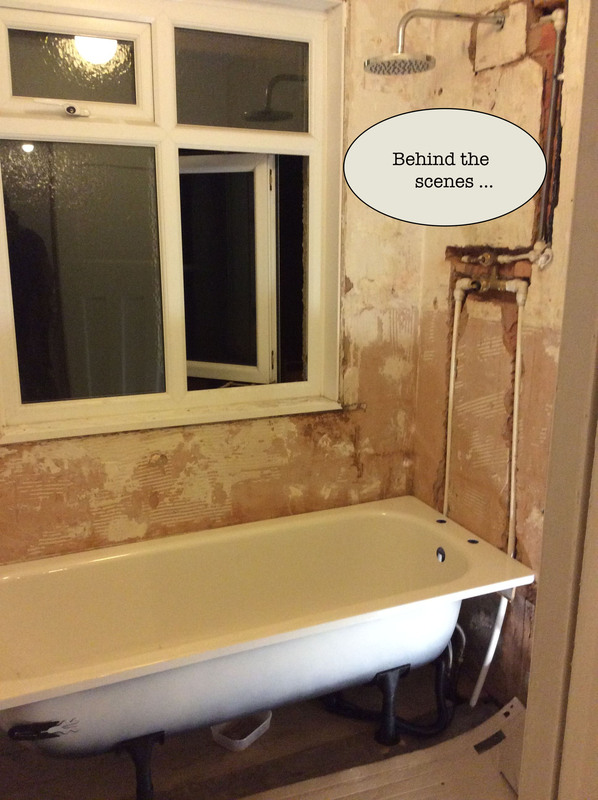 I did a lot of research before deciding on the final scheme, browsing pictures of Art Deco style, different bathrooms as well as trawling bathroom websites to look at fixtures and fittings. 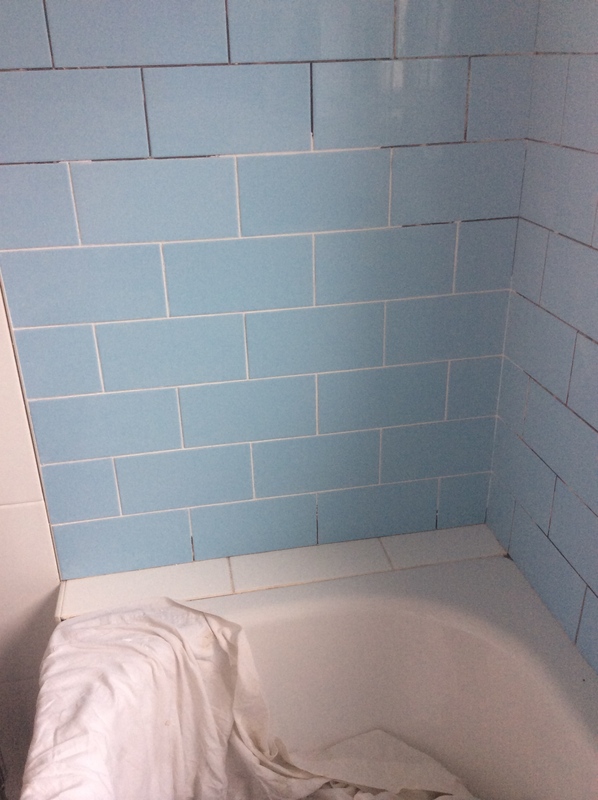 As our bathroom is such a small space I decided to make a feature of the tiles around the shower with a pop of pale blue, this was contrasted with white to make the space feel bigger. 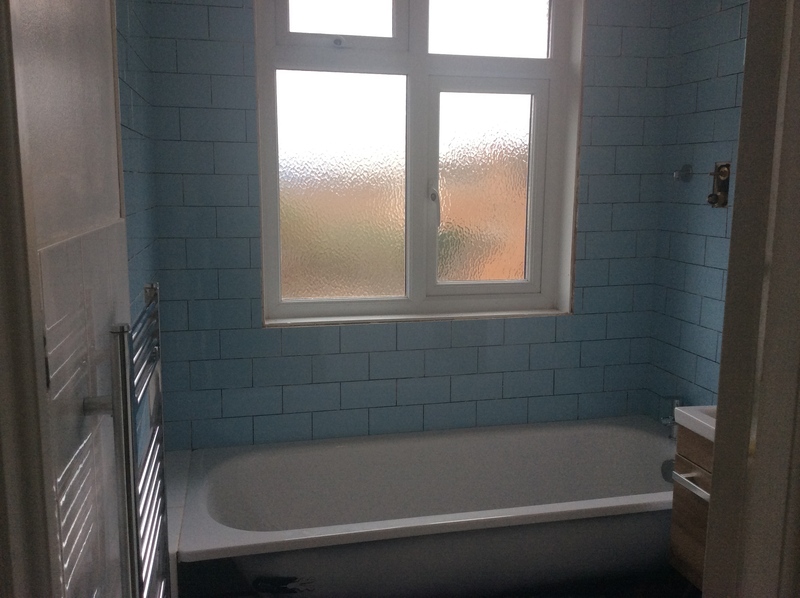 Although the introduction of colour in a small room can sometimes be oppressive, I didn’t want an all white bathroom as I felt it would feel too sterile and bland. 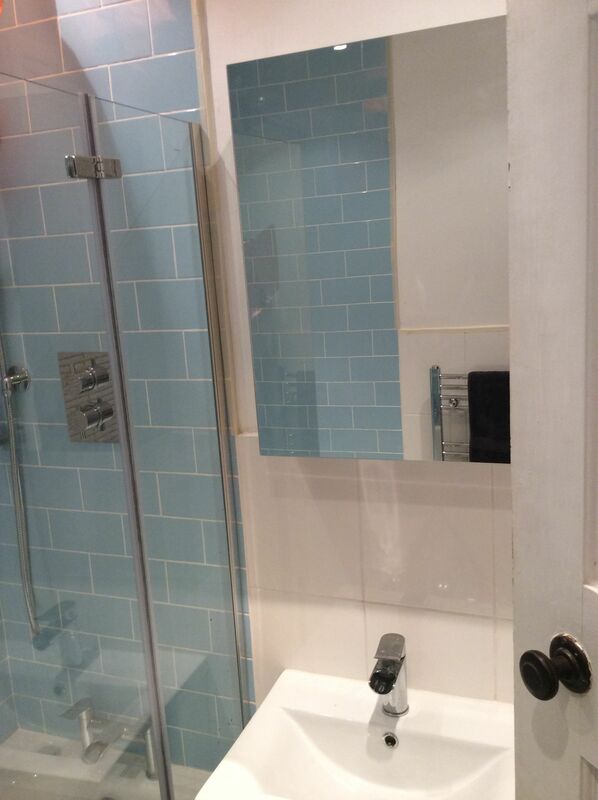 The shade of blue I chose is important as it gives a receding effect and the gloss finish reflects the light. 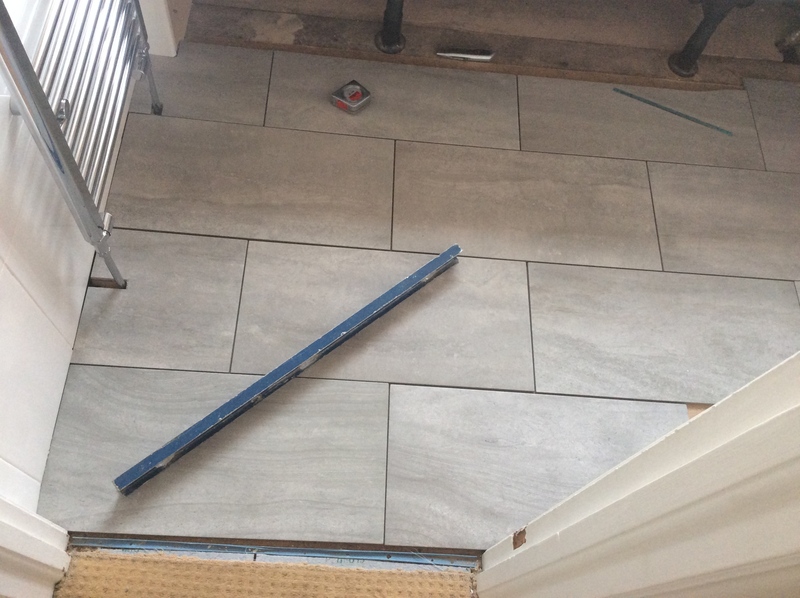 Below are some pictures from different stages of the makeover as well as the end result. 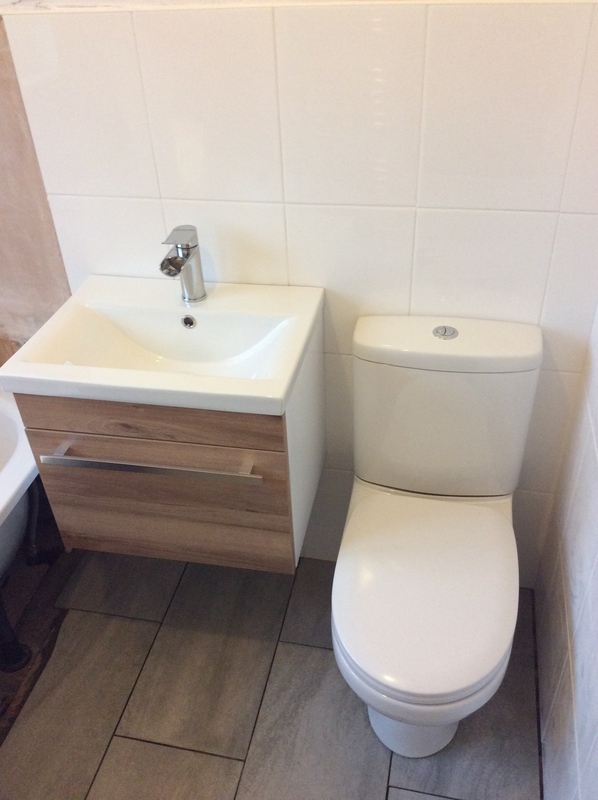 I think you’ll agree its a vast improvement on before and I feel we’ve made the most of the space available by maximising storage using a mirrored wall cabinet and floating sink unit. The rainfall shower head is one of my favourite pieces and it certainly makes my morning shower feel like a real treat. 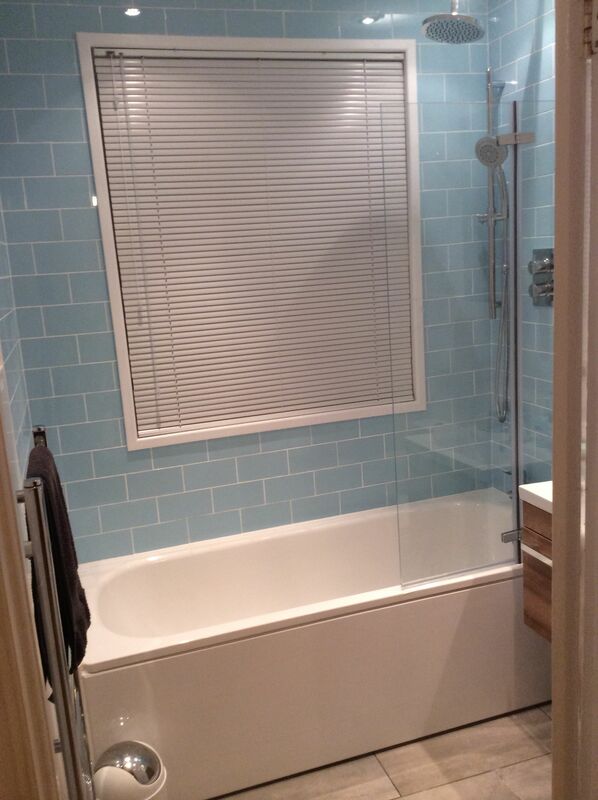 Do you have a favourite part of your bathroom? 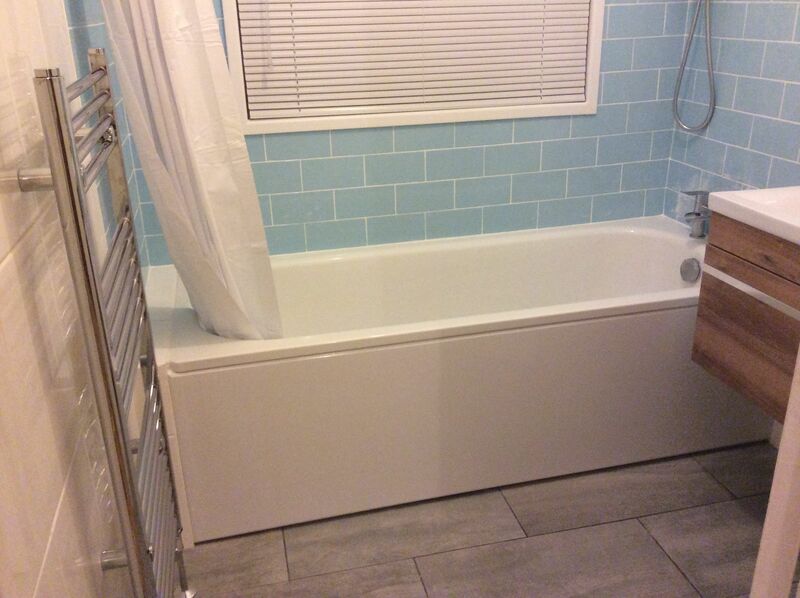 Or have you ever had to use clever design to make the best use of a small space?